I don’t really know where to start with this story about an animal that is now closest to my heart. Spotted Hyenas are interesting animals. Their whoops and calls during the night are a big part of the African experience. I am quite scared of them. Especially in natural areas with no fences to keep them out. Although careful at first, they are known to be quite upfront at night time in the bush. There are many stories doing the rounds of them walking into people’s tents and biting them, coming to people, run away when they get close, only to come back again when they (the people) are not looking. They have extremely strong jaws, that can crush bones. Contrary to popular believe that they are mainly scavengers, they are excellent hunters and totally capable of caring for themselves and also do so. In my opinion they are wonderful and intelligent animals, that should be respected as predators in the same way that lions and leopards are. There are some spotted hyenas on the game farm we live on. On one ice cold day in July 2012 one of the females gave birth to a single cub. She looked after her cub very well, protecting it and carrying it back to the den when it went to far. We gave the mom extra supplements to make sure she and the baby was getting all the nutrients that they needed. One morning it was brought to our attention that the mother was standing at the entrance of her den, calling the cub repeatedly with no reaction from the cub. For the whole day she kept calling, but the baby was nowhere to be seen. When some of the guys on the farm decided to go have a look she walked away and seemed not to care anymore. They went to investigate, thinking the baby was dead. One of the guys stuck his arm in to the den into a little tunnel and finally was able to reach just one little paw, he tugged it and eventually he was able to the other one and finally the whole cub. Once it was out, they realised it wasn’t dead like they thought, it was still alive. A split second decision had to be made about whether to leave it there or whether to take it out. No one knew whether the mom would accept her baby back after they had touched it, or whether she would just have left it or killed it. They took the baby away. When my husband arrived at home with the baby wrapped in blankets it was a tender moment. There is no doubt in our hearts that the best mother for that cub would have been it’s own hyena mother. The decision however was made and the cute baby stole my heart immediately. Although I had no idea how to care for it. Baby Hyena nestled in blankets. The phone calls started. Rehab centres, zoos and vets. Also other people that we know that have raised wild animals and especially predators. What should we feed? How often? What else do they need? Can it be done? However this was to big of an opportunity for me to let it go. I knew this was going to be a once-in-a-lifetime type of experience and I was willing to give it my all. My husband and I did not want to give it a name immediately, telling ourselves, that it would make us more attached. He came up with the idea of just calling it Crocuta, for now, which is short for the scientific name Crocuta crocuta. 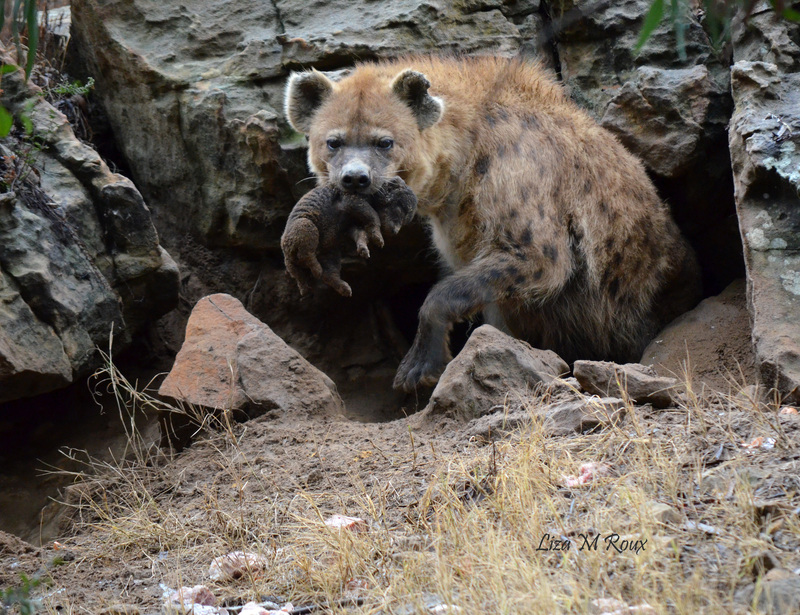 In part 2, I will continue to tell you how we raised baby Crocuta to the beautiful adult hyena she is today. I agree. And they wonderful!! 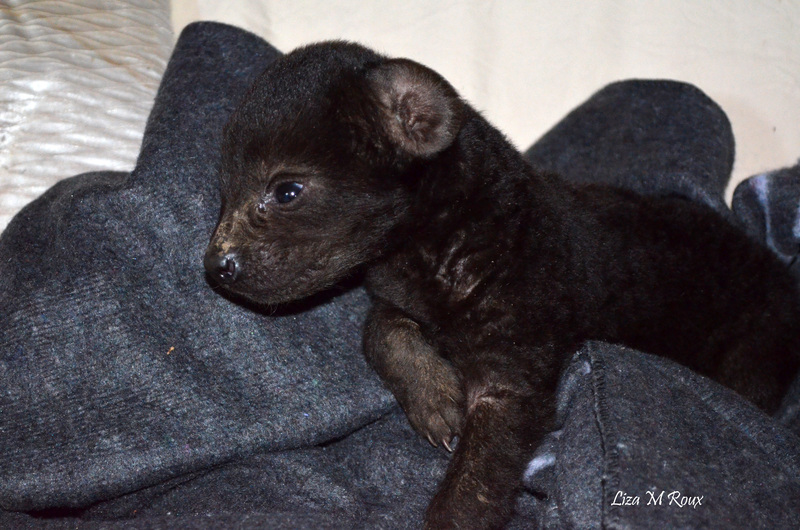 Hi Lisa, I’m looking for information on raising baby hyena’s, we’ve recently been given two. Was Crocuta successfully released? It would be great if I could get in touch with some questions! 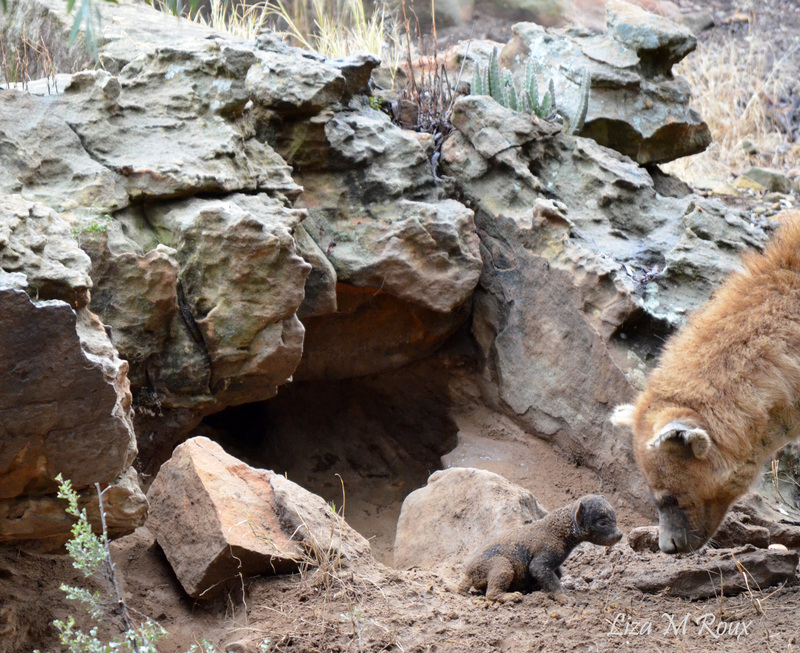 Crocuta was born in captivity and reintroduced to other hyenas, but always in captivity. But Hyenas are amazing creatures.